‘Untruth’ is the subject of the first issue which looks at how we navigate a world riddled with misinformation and fake news. A commissioned feature from cognitive neuroscientist Neil Garrett reveals how our brains react to messages we suspect to be false and what motivates us to investigate further, even when we know we’re being lied to. This is accompanied by examples of sensational newspaper headlines, absurd clickbait, tenuous urban myths and ambiguous fortune cookie messages, all with captions that expose their inaccuracies. The pamphlet, which can also be displayed as a poster when unfolded, has been printed from hand-set and hot-metal type. 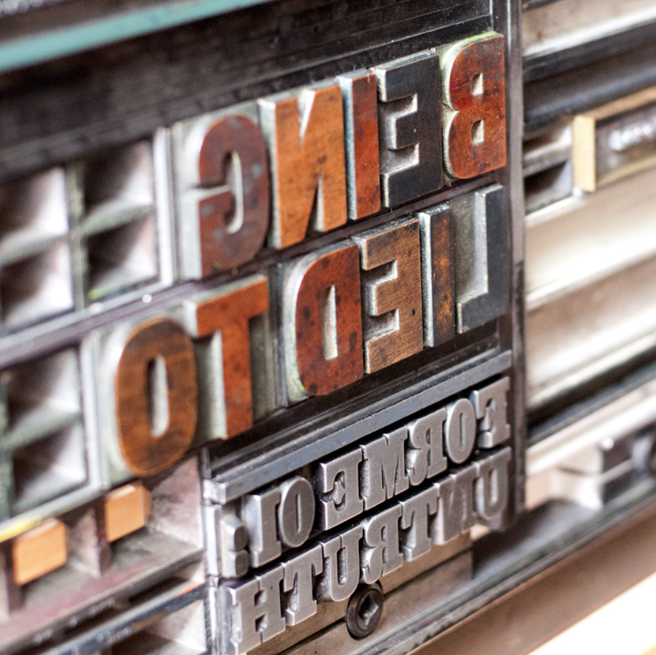 Printed letterpress, ‘Forme’ refers to the locked-up arrangement of type inside a chase for printing.